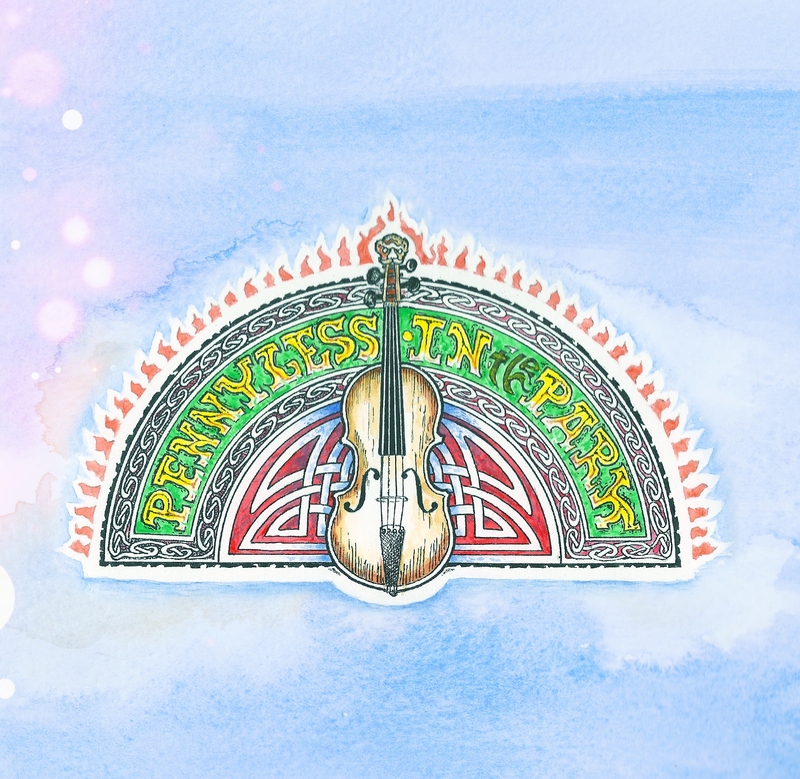 Exciting new sounds from Pennyless as they venture into the world of Storytale folk…Keyboard by Graham Dale, Cello by Jo Hitchin, Drums by Tom Savage and Les on his Fender Telecaster. Colin adds Bouzouki and Penny twinkles on bowed psaltery and recorder. Keeping the band’s trademark English theme Pennyless take you from the Neolithic Age, through Anglo Saxon and Romantic poetry and on to contemporary times. 11 original tracks with a surprise cover of a Clive’s Original Band song. Material written throughout the last year in the flint mines of Norfolk, the ancient remnant of middle England’s Rockingham Forest, and at Stonehenge during the winter solstice. Maybe also one day on a whimsical trip to the park…. “I’ll lead you a Merrie Dance, so opens Pennyless’ fifth album. A one hundred mile an hour pirate song from the pen of Les Woods and Allen Adams, guaranteed to get a festival crowd up and moshing. The bow bouncing off the strings of Penny Stevens’ violin to set the pace before an almost Tenpole Tudor like vocal. 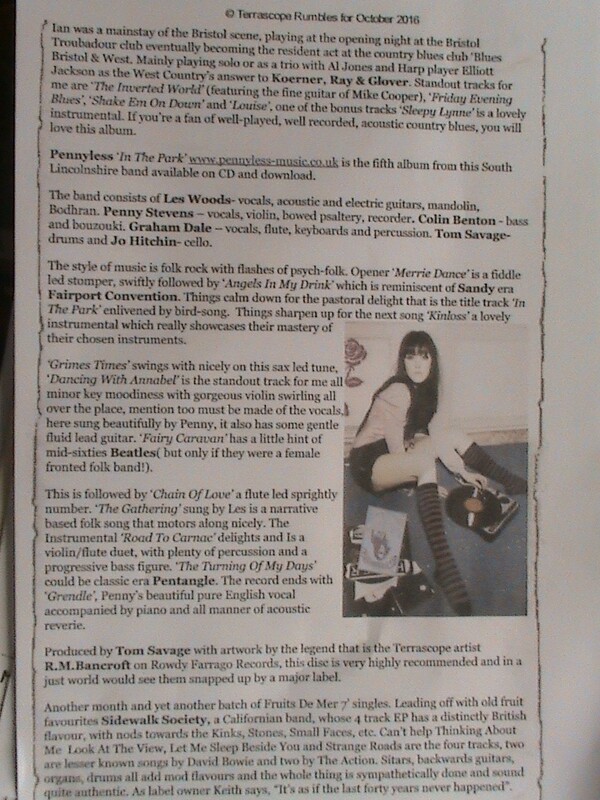 ‘Angels in my Drink’ nods its head to the early sound of Fairport Convention…’Dancing with Annabel’, Stevens’ vocal has a breathless and haunting quality. An eclectic collection of songs, this 12 track release further confirms Pennyless as the missing link between Steeleye Span and Cocteau Twins. While opening track Merrie Dance, a punkish pirate-themed number sung by Woods, is very good, it’s the tracks led by Stevens that are the most enjoyable. As well as a talented violinist this English rose’s vocals are second to none. 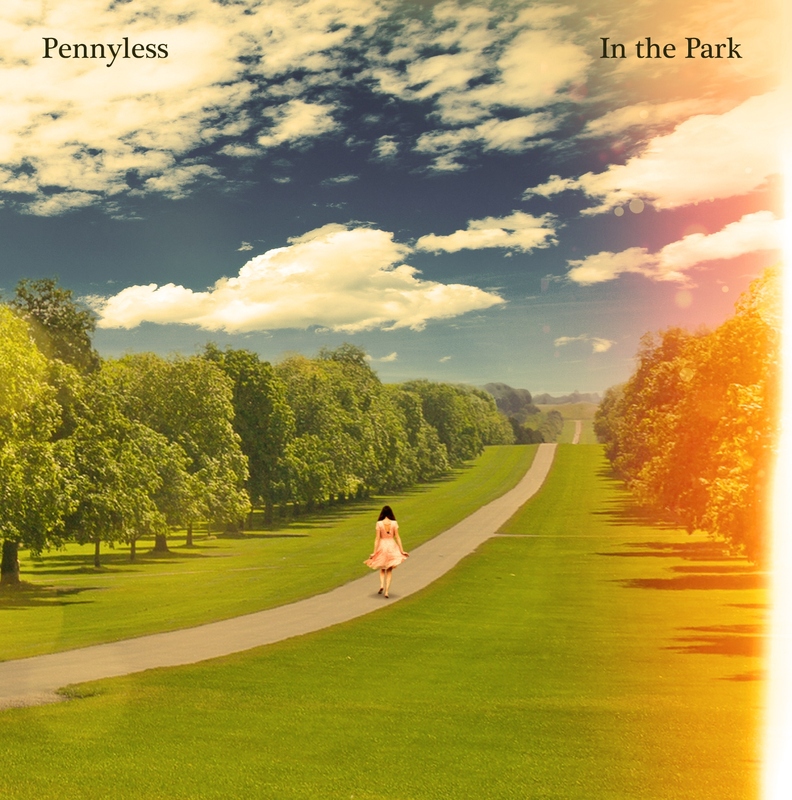 Pennyless, as ever, are a band who are moving forward, adding new influences as they go…..admirably, they have produced another timeless piece of work. How long does a good band remain under your radar? Perhaps it’s a reflection on the number of hard working bands that now grace the wide and expansive fields of folk. Whatever the case, the new album ‘In The Park’ from Pennyless has just come my way and I’m thoroughly glad that it did. Leaning more towards the softer side of folk rock edging towards psych-folk, the album is instantly intriguing, with a combination of memorable tunes, warm vocals, and hooks a-plenty. Hailing from South Lincolnshire their sound couldn’t be anything but English folk rock, blending myth, legend and history with social observation and commentary. The heart of their music is the classic narrative folk song propelled by a fiery fiddle, driving electric and bass guitars, and drums interlaced with a fascinating weave created by a miasma of bouzouki, bowed psaltery, mandolin, glockenspiel, melodica, soprano saxophone and birdsong. The title track of Pennyless’s new album comes adorned with birdsong and hazy pastoralism, bucolic and delicate , like Vashti Bunyan meeting Vaughan Williams. Penny Stevens has one of those voices that is wistful but strong, like the wind singing in a ruined cottage. It’s a golden thread that weaves like buttercups across an English meadow throughout ‘In the Park’ with flute, psaltery and mandolin sparkling on mist-shrouded cello. This album sent me back to my student days of the ‘70s with my shoulder length hair, maroon velvet flared loon pants, flowered shirt and huge overcoat (borrowed from my grandfather). 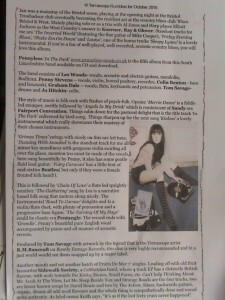 Images of Vashti Bunyan, Mr Fox, Traffic and the haunting flute of Ian Anderson from Jethro Tull swept over me (e.g. track 9. Road to Carnac). From more recent times, Pennyless reminded me of the excellent, but now sadly defunct Eighteenth Day of May. All the tracks are original and cover a range of topics from the gatherings at Stonehenge on the Winter Solstice to fairy caravans going through the ancient forests of middle England.